Born and raised in Tanzania before moving to the U.K at the age of eight, Tiggs is an individual proposition. 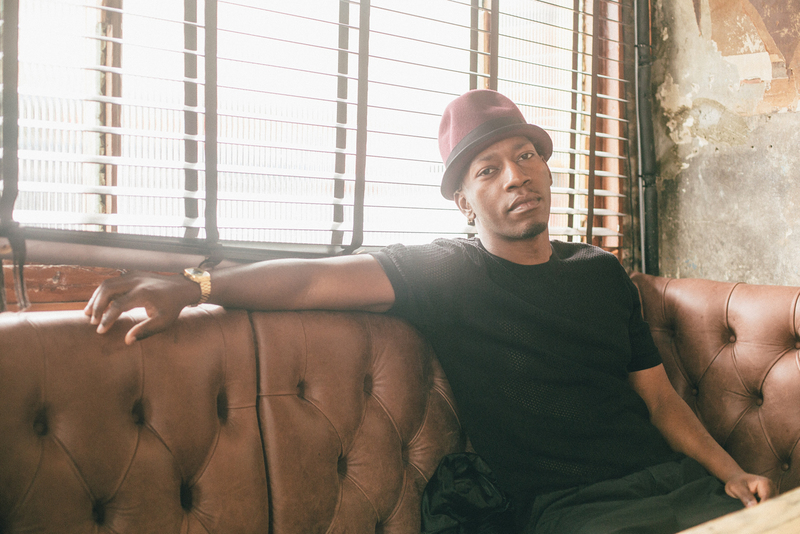 As influenced by obscure 60's documentaries as he is by east African Jazz, Grime MC Dizzee Rascal and classic Motown acts, the 25 year-old poet, rapper, singer, songwriter and producer is a rising star and one to watch in 2016. If his latest offering ‘Run’ sounds familiar, that may be because he debuted it on Later With Jools late last year, it’s also included on FIFA 16 and it was also the soundbed for ITV’s 2015 Rugby World Cup trailer. The track, featuring Lady Leshurr, is available now and will impact on 26th Feb. Following on from his debut single ‘Georgia’ which has amassed over 1.3million streams on Spotify (and growing! ), ‘Run’ is fresh, full of energy and full of Tiggs’ distinctive style reminiscent of Ray Charles, Finlay Quaye and Andre 3000 – yet he still continues to sound unlike anything you’ve heard before. Sometimes it's better to just run! Tiggs said of the track: "The song is about escaping your troubles and just getting away from certain situations and not letting life's little dramas bring you down. Sometimes it's better to just run! It's always great to collaborate with an amazing artist like Lady Leshurr but it's even better when you're friends. We’ve known each other for a long time and she nailed it." As well as Lady Leshurr, Tiggs is currently working with Show N Prove, Futurecut (Rihanna, Lily Allen) and Mark Ralph (Years & Years). His debut album is a conceptual effort and the as-yet-untitled offering is influenced in part by a documentary on the Dapper Rebels of Los Angeles, a sharply dressed crew who were involved in the infamous Watts riots of 1966. "I don’t want to say too much about it yet, it’s early days, but this isn’t a run-of-the-mill record. I want to be brave and daring in everything I do, while making sure the music, the melodies, the beats are really well executed,” he says. “I’m creating a movie with each track, it’s all a slice of my life, an insight into my thoughts and feelings. It might seem straightforward - moving from London to Tanzania, learning to speak English, learning to make music - but the chapters are still being written. My story is only really just beginning". Tiggs Da Author will play the support slot for Jess Glynne's O2 Apollo gig this Thursday (18th).